Owned and proudly operated by Dave Sroufe. Their family business is barber shops. As a third generation barber, he grew up in his father's shop, Huy Road Barber Shop in Linden. It was open for 38 years until the decision was made to sell it. At that same time the decision to open Red Bank Barber Shop was made. When the question came up of location - it was a clear choice to open it in Dave's hometown of Westerville. So, come on down and bring the family. We would love to show the difference at Red Bank Barbershop, and on Saturdays coffee and donuts are on us! Sign in from work, home, or your smart phone. Click the "Sign In" button (top right) to find out our current wait time and add your name to the list! Once you have arrived, simply select the "Confirm Arrival" button on our sign in computer. Text "WAIT" to 614-733-9972 from your smart phone and find out the current wait time and sign in remotely. Once you have arrived, simply select the "Confirm Arrival" button on our sign in computer. American Express, and Discover for all services. 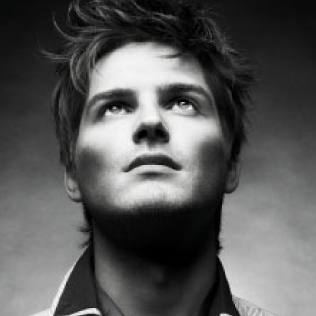 At Red Bank Barbershop, we believe in doing things with excellence and taking pride in our work. Towards that end, we want to extend that same pride into the products we carry. Offering the best in hair care products means doing a little extra research and spending some extra money and time to get the best products - and that is what we have done. Our product line, Giovanni, is organic, safe, and does excatly what it is supposed to. So take some time and browse our offerings online (or in store). And the next time you are in the neighborhood, be sure to pick up some of the best stuff in town! 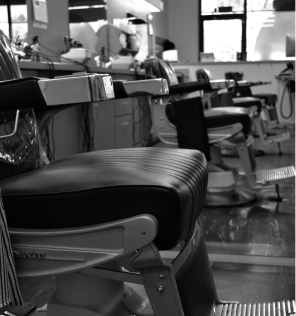 Ready for your next hair cut? We’ve made it even faster! Sign in online from home, work or your smart phone. By the time you will arrive, you will be that much closer to getting in and out! Just follow these 3 simple steps listed below. 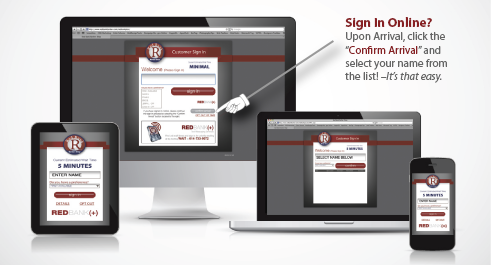 Tip: Bookmark our Sign-In page on your laptop, pc, booklet/tablet, or smart phone. at the “Top Right” of our web page. > Get a great haircut! Fast, friendly service - think it is a courtesy of the past? Think Again! 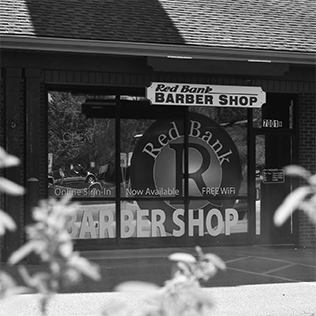 Red Bank Barbershop is THE place you've been looking for. Free Wi-Fi. If that sounds good to you, come on down to Red Bank Barber Shop. Owned and proudly operated by Dave Sroufe. Their family business is barber shops. As a third generation barber, he grew up in his father's shop, Huy Road Barber Shop in Linden. It was open for 38 years until the decision was made to sell it. At that same time the decision to open Red Bank Barber Shop was made. When the question came up of location - it was a clear choice to open it in Dave's hometown of Westerville.